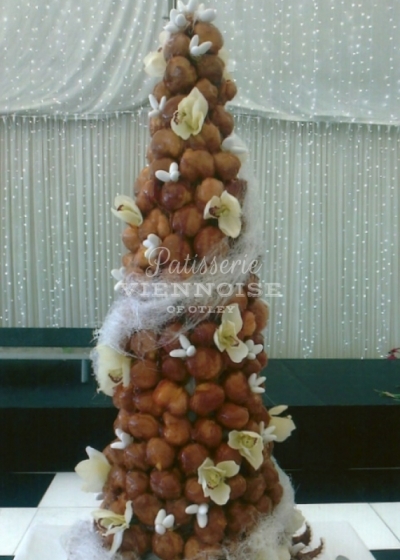 Croquembouche is a traditional French wedding or celebration cake. 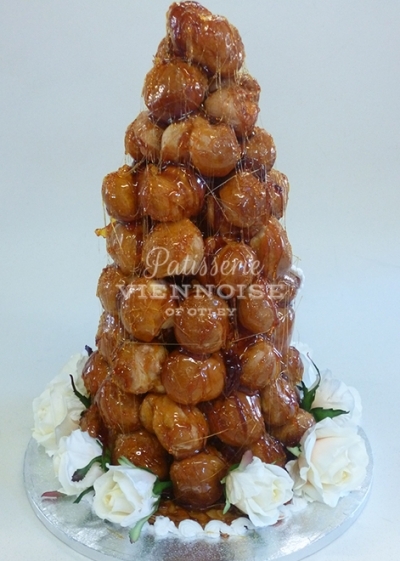 It is usually made with choux buns filled with creme patisserie (flavoured with alcohol if you wish), which are then assembled in a tower and coated with a caramelised sugar/toffee sauce. 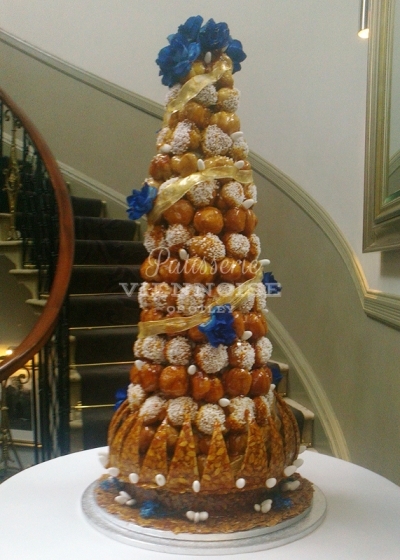 We usually place our croquembouche on a croquant stand which is made from toffee and almonds then decorated with royal icing. 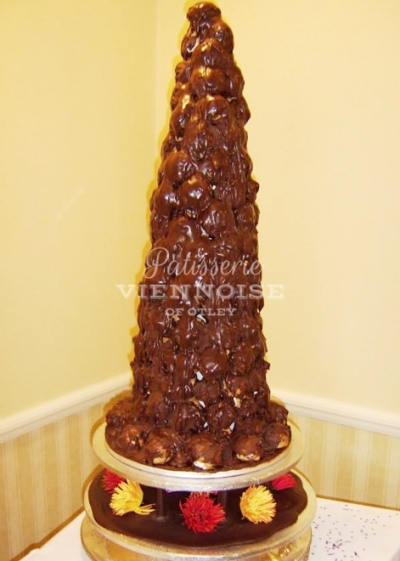 A number of varities are possible including spun sugar decoration, flowers or traditional sugared almonds. 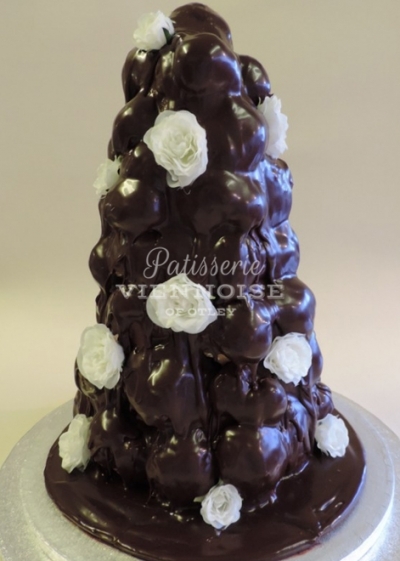 Another alternative is a chocolate croquembouche where the choux buns are filled with fresh cream, assembled and then smothered in a rich chocolate sauce. 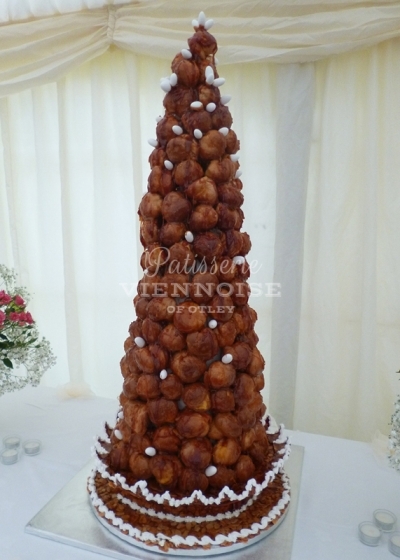 Croquembouche can be made in many sizes to cater for all occasions.